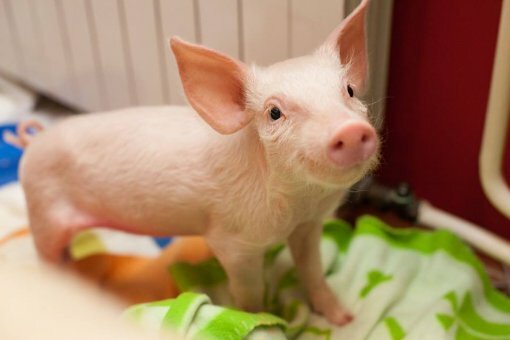 01/19/16 Super Ljilja - The Little Pig Whom Croatia Cannot Resist! She sleeps in a soft and comfortable bed, wears clothes with style and eats baby food. Her best friend is Vesnica (the puppy) and she is surrounded with love and care. She is being kissed, hugged and cuddled. She has a Facebook profile and she already won many hearts by her lovely, tender look. She is called Super Lilja. Her life began much like as lives of other members of her species. Due to illness, she was rejected and thrown in the channel and the Association Victories from Osijek made sure the little Lilja successfully overcomes two operations and to revel in the daily care of volunteers. That's how Osijek shelter for abandoned dogs, after Archie the pig who died last year, once again among the abandoned dogs brought a pig. 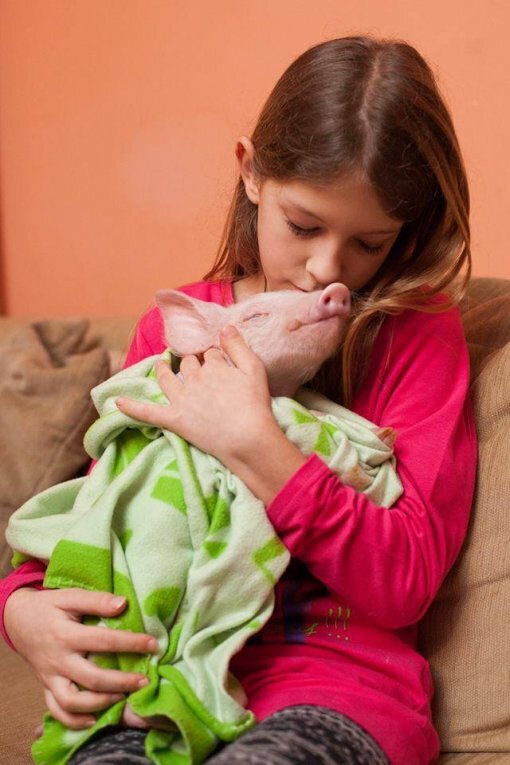 Such a connection is not surprising considering the fact that dogs and pigs are not only very similar in intelligence, hygiene habits, desire to be cuddled and their playfulness but are in excellent agreement with each other and with people. There is already a safe home in the vegan family waiting for Super Ljilja while her great-mission is "to make the world a better place for all its inhabitants and residents". Since this irresistible piggy belongs to a species that regularly ends up on the plate, her favorites are vegans and those "who will become vegan". On the Facebook page, which in a short time gathered more than 2,800 fans, this happy little pig shows that she knows to skillfully seep under the blanket and sleep peacefully, "drive" the car and to wangle a kiss from a veterinarian. 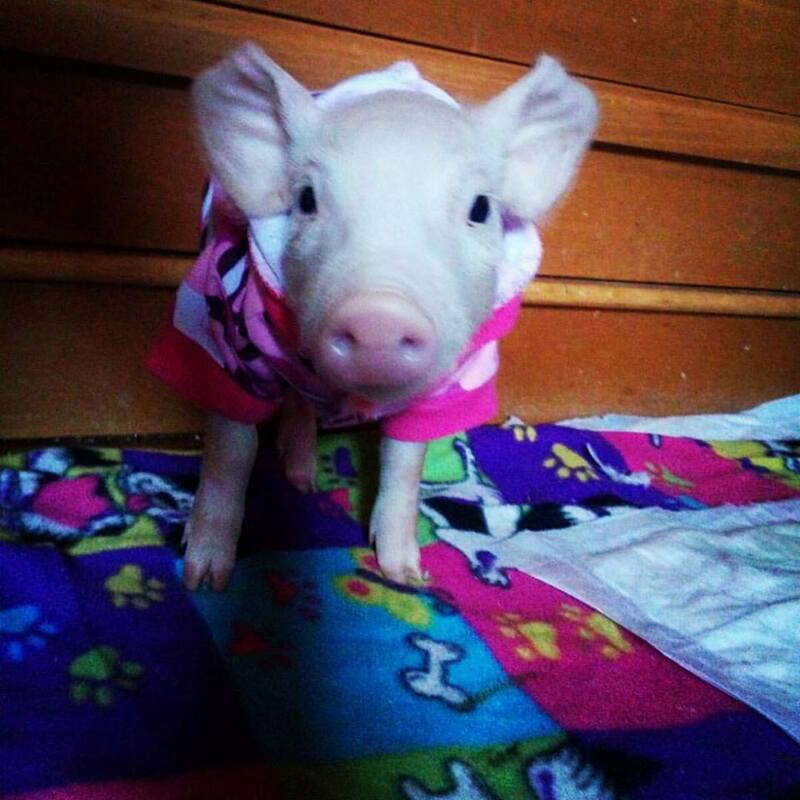 As the sweetest speaker for animal rights, Super Ljilja invites everybody to take care of the health and lives of pigs and other animals and to join the Vegan Challenge for their own health and good looks. Her smile and cheerfulness can be an incentive for everyone to become a vegan and to, already from January, start the Vegan Challenge which already has more than 150 applicants. Everyone who applies for Vegan Challenge till the end of January at www.veganopolis.net will receive daily e-mail in Croatian (for 30 days) with recipes and interesting information about veganism, plant-based food and eating habits. As an additional award, a video with exercise instructions awaits them, and the luckiest applicant gets individual training with a fitness instructor Dragan Surlan, which ends with lunch at vegan restaurant. 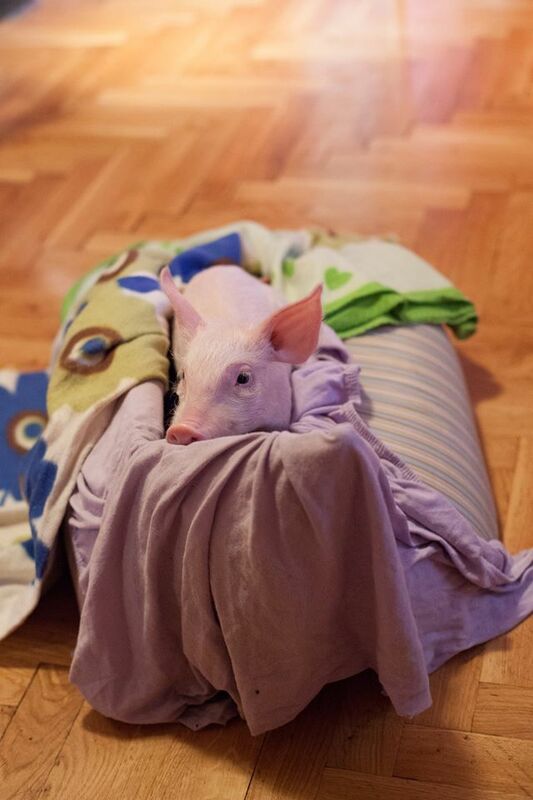 The most famous piggy in Croatia says that now is the time for a change and that other pigs, as well as her, want freedom and love, cuddling and to feel the joy of life. 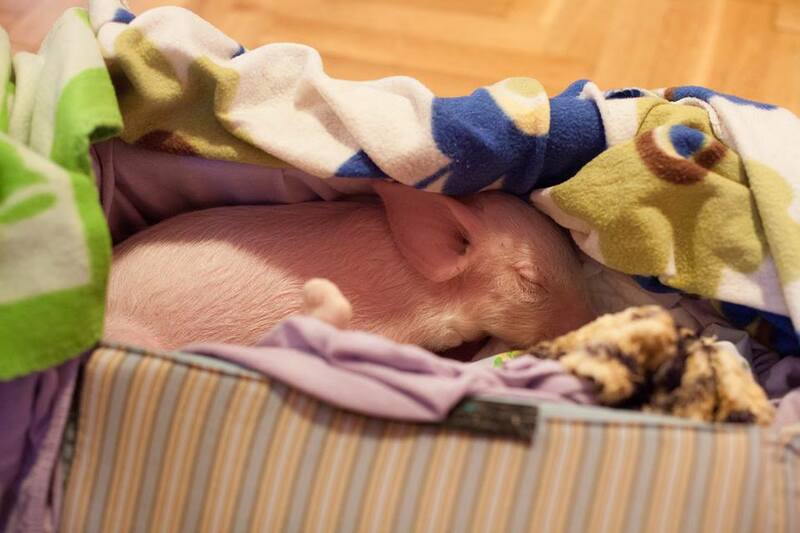 When she covers herself with the blanket and sleeps carefree, Super Ljilja dreams of a better and fairer world where all the animals will be cared for and safe. Therefore, accept the Vegan Challenge, help animals like Super Ljilja and enjoy delicious meals and the health benefits of a vegan diet. Preserve the planet and get the strength and vitality of body and spirit. For more information visit www.veganopolis.net and Facebook page Super Ljilja that is worth a visit. Super Ljilja is available for taking pictures and making statements.